If you are administering a site, you probably know how important it is to earn one of the top 10 positions in Google searches. The situation is perfectly clear – a website can hardly generate enough traffic if it ranks any lower than the first page of Google search results. And If you are Seeking help than there are many free SEO tools which can come handy to rank your blog or website. A report shows that as much as 60% of clicks go to the top three websites in search engine results. It takes a lot of work and a great SEO strategy to earn one of these positions, but even that doesn’t guarantee long-term success since Google changes its search algorithm 500 to 600 times each year. In such circumstances, you have to utilize every weapon in the arsenal just to stay competitive. There are tons of apps, services, and plugins that can help you in this process, but we will show you 12 free SEO tools to instantly improve your Google ranking in 2019. We open the list with Google’s native platforms. 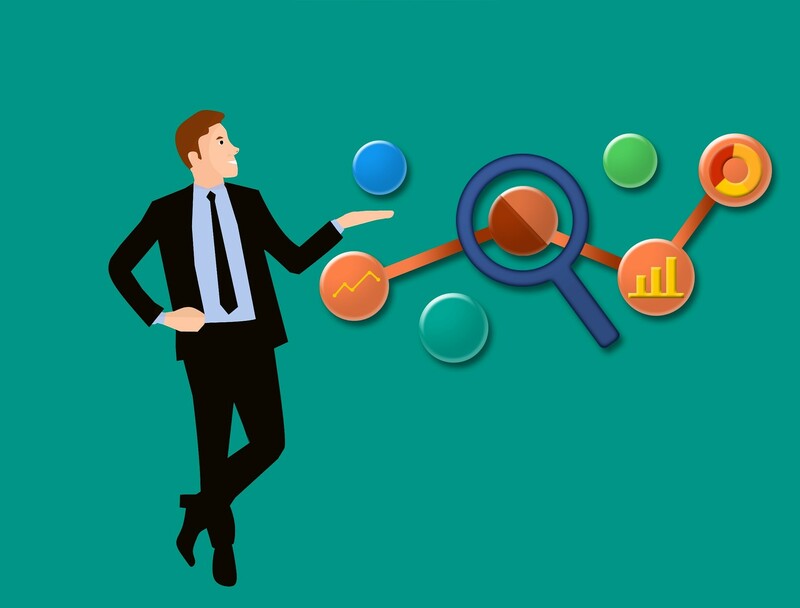 The first one is Google Analytics, a quintessential tool for webmasters eager to learn how their website functions and where the audience comes from. It gives you an in-depth overview of visitors so that you can figure out users’ behavioral patterns. Using Google Analytics can help you to increase the search traffic like a boss. Google Search Console is the second pick, but it’s just as important for website ranking as the previous tool. This platform helps you to understand website traffic and performance, giving you practical suggestions on how to improve and which bugs demand fixing. Google Search Console analyzes technical parameters of your SEO strategy: indexing, internal and external linking, keywords, crawl rates, and many more. Using this software, you will learn which search terms bring you traffic and how to strengthen the overall quality of your optimization plan. If you want to boost ranking quickly, you need to publish content that evokes curiosity and interest. Sometimes it’s easy to identify popular topics, but most of the time you’ll need Google Trends to discover commonly searched words and phrases. The best thing about Google Trends is that you can conduct targeted analyses to figure out the hottest topics in a specific region. You can also play with timeframes, look for patterns, or even explore an entire year to get the notion of Global search trends. You know that keywords represent an essence of SEO, so you definitely need a reliable tool to find the best solutions for each post. Google Keyword Planner allows you to stay on top of keyword trends and fine-tune campaigns so as to maximize the discoverability of the content. The platform is very simple as you only need to enter the targeted word or the search phrase. After that, Google Keyword Planner will present you the list of the most relevant keywords that you should use throughout the content. Article titles are extremely powerful because they help search engine crawlers to index your pages and also serve as the hook that attracts potential visitors. This means you have to create eye-pleasing headlines that stand out from the crowd of similar stories. Professional essay writers mostly use CoSchedule Headline Analyzer to evaluate the quality of their titles and subject lines. It’s a nice platform that dissects each headline and points out the pros and cons. You will receive inputs on word balance, length, keywords, sentiment, and all other elements that make a compelling title. A vast majority of users expect a website to load within three seconds. Anything more than that is considered unprofessional, so you must improve page load speed if you don’t want to chase the audience away. Pingdom is a reliable website speed test that gives you a general performance grade. Besides that, you get to see many other details and suggestions on how to speed up the site. This makes Pingdom not only analytical but also highly practical since you get concrete inputs on how to improve performance. Almost a third of all websites are powered by WordPress because it’s the simplest content management system. WordPress offers you a wide variety of SEO plugins with Yoast SEO being a frequently used choice among webmasters (over five million downloads). The plugin does it all – from duplicate content elimination and meta tagging to XML Sitemaps and snippet previews. Yoast SEO integrates with Google Search Console, which is another valuable aspect of this platform. It is worth mentioning that Yoast SEO automates most of the processes, so you don’t even have to think about optimization. Webmasters who want to conduct a thorough analysis of their websites should definitely consider Screaming Frog. It’s an all-encompassing crawler that helps users to perform onsite SEO and do a technical audit. You can improve pretty much every segment of your site with Screaming Frog as it detects broken links, identifies duplicate content, audits redirects, visualizes site architecture, and so on. It’s impossible to mention every optimization tool available online, but it would not be fair to leave out SEO site Checkup. The platform makes optimization look easy, enabling users to run unlimited analysis and gain real-time performance insights. SEO Site Checkup monitors over 30 optimization indicators and creates reports that are easy to figure out even for the beginner-level website administrators. What we love about this tool is that it also allows us to analyze competitors, thus giving us the opportunity to improve against the biggest niche rivals. How will your article perform? How would an expert write the same piece? What is your competition writing about? What questions are your readers asking? These and many other insights will help you to strengthen your content creation strategy and improve ranking relatively quickly. Everybody knows that backlinks represent a key element of optimization, so you’ll need to tool to support your backlinking strategy. Just reach out is one of the most authoritative solutions in this area because it helps you to find and reach out to popular bloggers, influencers, websites, and journalists. Just Reach Out grants exposure and increases the visibility of your content, which is exactly what you need if you want to climb up the ranking ladder. Rank Math is the Swiss Army knife of search engine optimization tools for WordPress. It gives you full control over your website’s on-page SEO and even simplifies the complicated process of running an SEO audit so that really anyone can do it. You’ll be pleased to hear that the Rank Math plugin also includes the tools you need to properly configure your site for SEO success in 2019 and beyond. In addition to that, it also includes a Meta box with great tips and insights you can use to improve both your titles and content. Yes, that’s 15! But this is honestly just the beginning, there are loads of other reasons Rank Math can be considered the best WordPress SEO plugin available. SEO tools that we all should use for ranking. SEO tools and tricks for Trade of increasing web traffic. Executing a comprehensive SEO strategy manually is close to impossible. You definitely don’t want to waste your time doing everything single-handedly, which is why we decided to present 12 free SEO tools to instantly improve your Google ranking in 2019. We believe you already use at least some of these tools, but make sure to test each one because they can give your website a major traffic boost very soon! Lauren Adley is a writer and editor at Essay Writer Service and Custom Essay. She is dedicated to her family, work and friends. She is keen on reading, playing the guitar and traveling. She is interested in educational, marketing and blogging issues. Hi lauren! How are you? Almost all web master wants to be easily seen on google and your post helps a lot. Good job for listing this all. Hi, Thank you for the valuable post. This article will be helpful to all. You Are Provide Best 13 Tool. This is Very Helpful. You have shared such a wonderful and helpful post. I have been using Google Analytics and I must say it is pretty good. For myself, I use powersuite and screaming frog. They helps a lot. Google has these 4 wonderful tools which really makes our site improve and get good traffic.